The likely Republican candidate running for the U.S. Senate from Ohio next year earns big bucks and endorsements from the wacko right and Trump-lovin neo-Nazi groups and people. 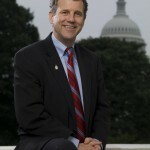 In stark contrast, Ohio’s two-term senior senator in Washington, Sherrod Brown, just won the endorsement of United Auto Workers Region 2B and its 150,000 active and retired Ohio members, who work hard for their daily bread and can tell the difference between radical rhetoric and real results. On a sunlit morning in Sicily a vendor pushed his cart along the sidewalk, noisily singsonging indistinct words to the folks poking their heads out of the windows a few stories above the street. Although I had studied the Italian language for several years, I couldn’t decipher a syllable from his cry. But as the ancient building’s residents lowered baskets to be filled by vegetables and fruit, I finally gave up trying to understand the communication between the wizened vendor and his customers.